Organic food stores are getting more popular as the demand for organic food continues to grow by leaps and bounds. The stores may have started out as a trend, but today they are a big business. Continued growth is expected as more organic products are stocked in traditional stores as well. Organic foods are found in many places, from a traditional farmers' market to the super grocery stores that have become so popular today. Many areas have specialized natural and organic food stores as well. For those who do not have access to this type of store, the Internet provides thousands of organic foods to choose from. National chains of organic food stores can be a great resource for purchasing the organic items your family needs. Whole Foods Market has over 300 stores in the United States and United Kingdom combined. Headquartered in Austin, Texas this large chain is available in most of the states in the United States. It has an outstanding selection of organic and natural foods, beauty products, wines, beers, and health products. It looks much the same as your conventional grocer and includes bakery and deli departments. Some of the larger Whole Foods stores even have cafes and spas attached. Wild Oats Marketplace was one of Whole Foods top competitors until 2007 when Whole Foods bought the company for 565 million dollars. The company had to battle with the FTC over the acquisition, but won and completed the buyout in August 2007. In July of 2008, the U.S. Court of Appeals reversed the decision and Whole Foods sold Wild Oats in 2010. The stores are much like Whole Foods and are located throughout the United States. At the time of this writing, there is not an operating website for Wild Oats. Trader Joe's is another national chain. It carries some conventional foods as well as natural and organic food. They are known for carrying unusual products and many of the items they sell are the Trader Joe's brand. The company tried to source items locally, so not all products will be available in all locations. Sprouts, like Trader Joe's, carries both organic and conventional foods with a focus on fresh, local items. 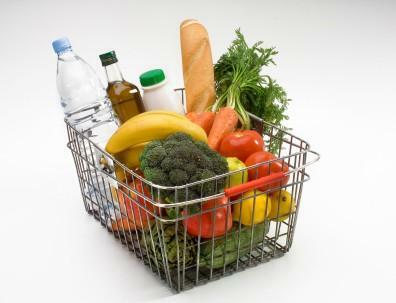 They carry bulk items, natural cosmetics, and a variety of meats as well as produce, canned, and frozen goods. Green People.org is an online directory put together to help you find eco-friendly products and services. The site has a list by state of organic food stores. Local Harvest is the best online resource to find organic and locally grown food. Founded in 1998, Local Harvest now has over 9,000 members and it continues to grow. Use their locator tool to find grocery stores and cooperatives near you that sell organic products. The Organic Consumers Association also has a locator tool to help you find the products you want in your area. Simply type in your zip code and select how many miles you are willing to travel and the products you seek from the drop down menus. Click "GO" and you'll be shopping in no time. Check with your local farmers' market as well. If you're shopping at stores that carry organic and natural food products, you may think you won't be able to use coupons. However, many of the organic food companies are offering coupons and other savings for their customers. Many of them send out coupons regularly through Mambo Sprouts; sign up for their newsletter, coupon packs and email deals. If you find that you are too far off the beaten path, try looking for organic food online. Or, consider carpooling with a friend for one big shopping trip. After all, carpooling is great for the environment too! If there are just no sources for organic food in your area, you may want to ask the manager of your favorite food store if it would be possible for them to stock some organic items. Often, if a store knows there is a local consumer demand, they will stock items that other stores in the chain might not have. Organic foods are easier to find that ever and certainly worth the trouble it takes to get them. Finding a store you like may mean driving a little further, but in the long run it will be worth it, both for your health and for the environment.